Fabric House, Knutsford as well as being a two storey retail store is home to our interior design team. Situated in a prime location with the benefit of full height windows to the entire façade it presents show stopping displays to captivate and inspire our customers. 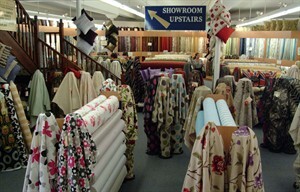 Over 50,000 metres of curtains and upholstery fabric in stock with 1000’s more options available within the showroom gallery – all at the most competitive prices. Curtain tracks and poles up to 30% off RRP. 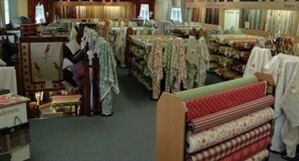 Cushions, throws, tiebacks and trimmings – stock ranges greatly discounted.